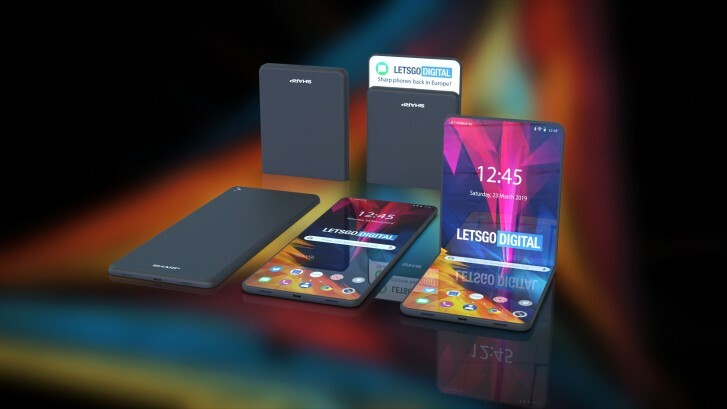 Foldable phones are clearly the next big thing with mobile tech. So far only Samsung and Huawei have showcased working devices, but we expect other manufacturers to join as well and Sharp appears to be one of them. Back in 2017, the company filed a patent and it popped-up on WIPO's (World Intellectual Property Office) database. 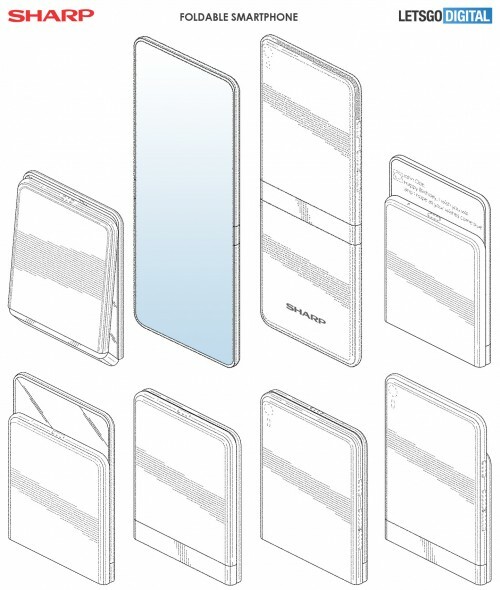 The sketches below depict the device's design and functionality. To get a better grasp of the handset, the guys over at LetsGoDigital made a few 3D renders. 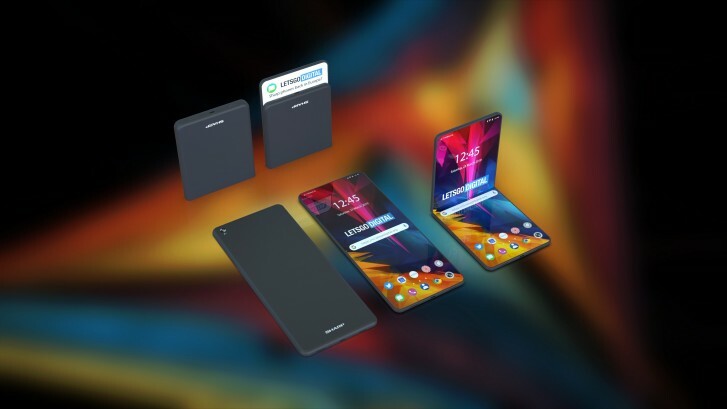 They show a smartphone with a tall bezel-less display that folds vertically like a standard clamshell phone. Interestingly, the device features a dual-hinge design so you can fold the phone in half or make the upper part of the display stick out a bit. This way you can quickly check for new messages and even read them. However, the front-facing camera is nowhere to be found and the back features just one lens. 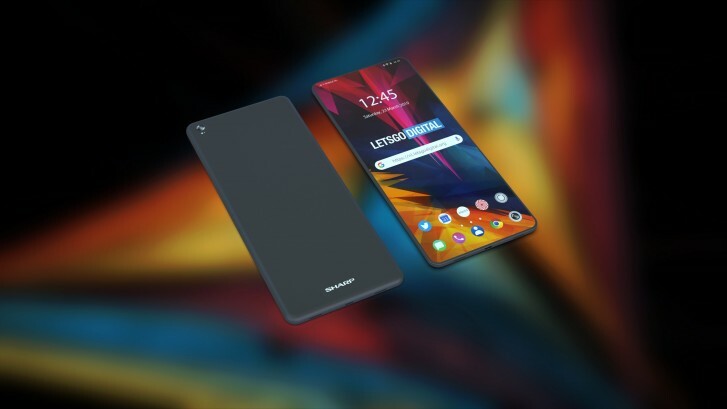 Of course, this is a design from 2017, so it will surely change before release and by then, Sharp will likely find enough room for more than one camera on what will undoubtedly be an expensive handset. Keep in mind, though, that not everything that we see in patents makes it to the real world. And if it does, it could look a lot different than in those images. If a phone needs only 1 camera then why do we have 2 eyes?